Urban Forestry infects business and the Chinese magazine Business Times publishes an article that underlines the importance to adopt urban development models which tackle Climate Change effects on air and city environmental conditions. 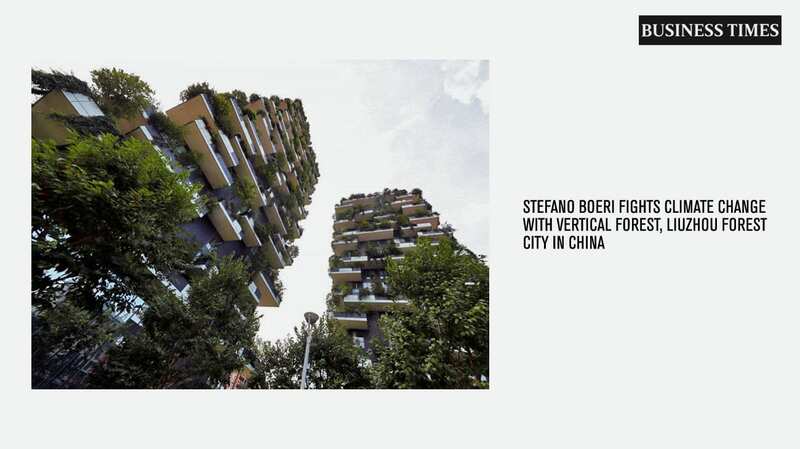 “The Vertical Forest and Liuzhou Forest City just proved Boeri’s plan to fight the climate change. His projects vary from urban forestry to protection of biodiversity in the cities – from Milan to Eindhoven and now in China. Boeri aims to avoid the use of cement and the expansion of cities. He also wants to get the cities closer to forests, protect the environment and biodiversity to lessen the pollution, and to make nature an important part of the architecture”.